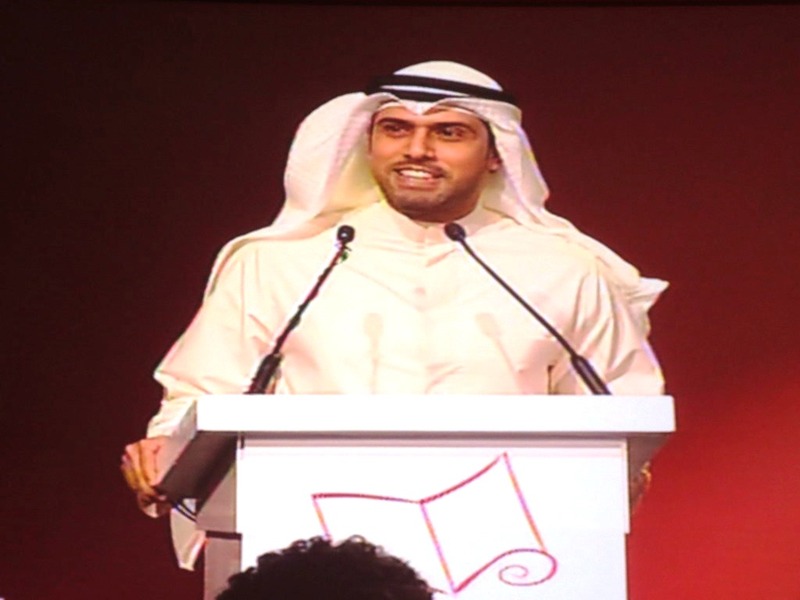 Saud Alsanousi accepting the 2013 International Prize for Arabic Fiction. “I am very happy for myself and for Kuwait,” Alsanousi said upon receiving the award. 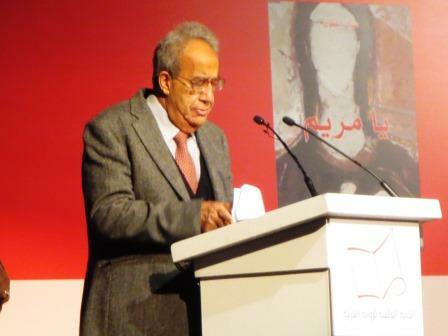 Alsanousi’s The Bamboo Stalk was chosen from a shortlist of six by this year’s judging panel, which was chaired by Egyptian economist and writer Galal Amin. The other novels on the list were Ibrahim Eissa’s popular Our Master, Iraqi novelist Sinan Antoon’s novel of homeland and displacement Hail Mary, Saudi novelist Mohammed Hasan Alwan’s family story The Beaver, Jana Elhassan’s novel of relationships, Me, Her, and the Other Women, and Hussein el-Wad’s political tale His Excellency, the Minister. The novel The Bamboo Stalk follows Eissa/José, the son of a Kuwaiti father and a Filipino mother, as he returns to Kuwait as an adult and faces the country’s social and racial prejudices. 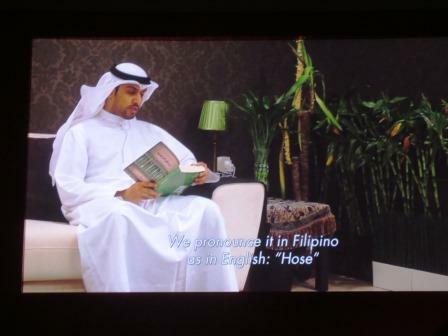 Alsanousi reading from his novel during the short film. Alsanousi traveled to the Philippines as part of writing the novel, he said, in order to learn more about his character’s life and background. He noted that most Kuwaitis know little about Filipinos, only “that they are laborers in our country.” However, the author also stressed, after winning the award, that The Bamboo Stalk is not just a Filipino story, nor just a Kuwaiti story, but a universal one. Galal Amin announcing the winner. Following the announcement, journalists asked at a press conference about how it happens that three Gulf authors — Abdo Khal (from Saudi Arabia, 2010), Raja Alem (co-winner from Saudi Arabia, 2011), and now Saud el-Sanoussi– had all won the six-year-old prize. The judges repeatedly emphasized that they had chosen the best novels, not countries or novelists. Michalak-Pikulska also underlined the book’s topical nature, saying she valued the book in part because it had chosen a “fresh subject,” one not dealt with widely in Arabic literature. Alsanousi, who was born in 1981, this year became the youngest author to win the award. He also became the first Kuwaiti author. The Bamboo Stick is Alsanousi’s second novel; his first, Prisoner of Mirrors, was published in 2010 and won that year’s Leila Othman Prize. Alsanousi also won first place in the 2011 BBC/Al-Arabi “Stories on the Air” competition, for “The Bonsai and the Old Man.” The IPAF award will bring Alsanousi $50,000 and a global profile. Alsanousi will appear on a panel at tomorrow’s Abu Dhabi International Book Fair. He will also be with Jana Elhassan and Mohamed Hasan Alwan at the Hay Festival Beirut on May 9.